This is the first in a series of A SLICE OF GREENBURGH HISTORY by interns Riley Wentzler and Felicia Barber. 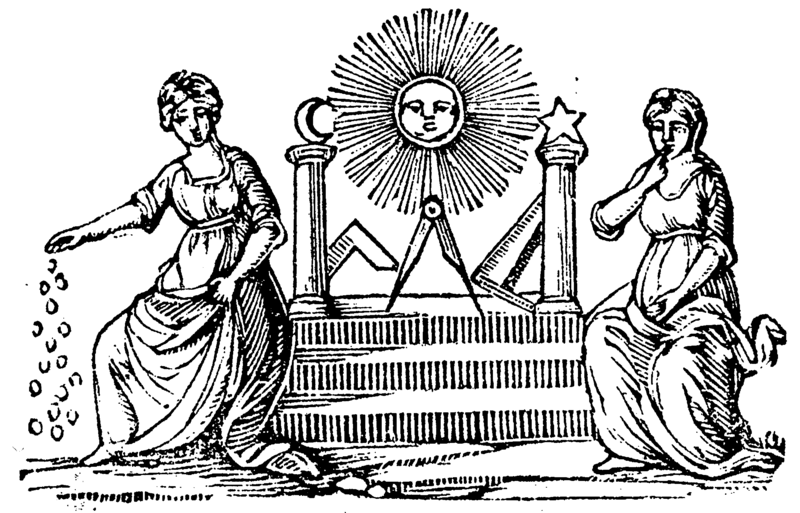 The motto of the Freemasons is “BROTHERLY LOVE, RELIEF AND TRUTH” accordingly; the Masons have always been committed to both intellectual discovery and public service. The Freemasons have had a distinguished history of public service in the United States: George Washington, Paul Revere, Benjamin Franklin, Rev. Jesse Jackson (https://www.rense.com//general7/afroillumina.htm), Harry Truman, and George W. Bush were all Freemasons. The Freemasons have people from every race, religious creed, political affiliation, and geographic region of the country among their ranks (https://solomons196.org/about-freemasonry/). There are three Masonic Lodges in Greenburgh: Diamond Thistle Lodge #555, Briarcliff Lodge #1155 and Solomon’s Lodge #196. Though the Diamond Thistle Lodge began in Greenburgh’s Village of Dobbs Ferry in 1865, Briarcliff Lodge began in 1902 in Briarcliff Manor and Solomon’s Lodge began in 1812 in White Plains, they are all currently located in The Village of Tarrytown in Greenburgh. Briarcliff Lodge #1155 officially moved to Tarrytown in 1933. The oldest masonic lodge in New York State, Solomon’s Lodge #196, which meets in The Vanderbilt Building in Tarrytown, has been proudly serving Greenburgh since 1821 (https://solomons196.org/a-brief-history-2/). One of its most prominent members even served as Greenburgh Town Clerk in the 1850s. His name was Nathaniel Holmes Odell (1828-1904). His father was Johnathan Odell, the original owner of Greenburgh’s historic Odell House. In addition to serving as town clerk, Nathaniel Odell, also ran a shipping business on the Hudson River. Later in 1857, he was elected to the New York State Assembly; he served as an Assemblyman until 1861. Then on March 4, 1875, he was elected to the U.S House of Representatives. He served in this capacity until March 3, 1877. I was born in New York City and raised in Hartsdale, New York. I graduated from Ardsley High School. I recently earned a Bachelor of Fine Arts degree in Graphic Design at Edinboro University of Pennsylvania. It was here that I met my fiancé, Riley Wentzler. As a result of my academic excellence, I won a scholarship every year. I learned and applied many graphic design skills to projects during my summer internships and at school. I am proficient in using Adobe graphic design applications including Photoshop, Illustrator and InDesign. For my Identity/branding course at Edinboro, I created logos to appear on the tee-shirts of Physical Education majors. For a veteran’s upcoming event, I used a typeface to focus the reader to the soldier in the poster. For the State Roads Legislative Campaign project, I created the embedded graphic-photo that accompanied the petition I am looking for a job to utilize my skills as a Graphic Designer in an agency, print shop, company or government. If you want learn more about my artwork, or help me find employment, you can contact me at: feliciadbarber@gmail.com.